Thanks to Laura and Prem for the pics! Mess The Dress is one of my most favorite races. 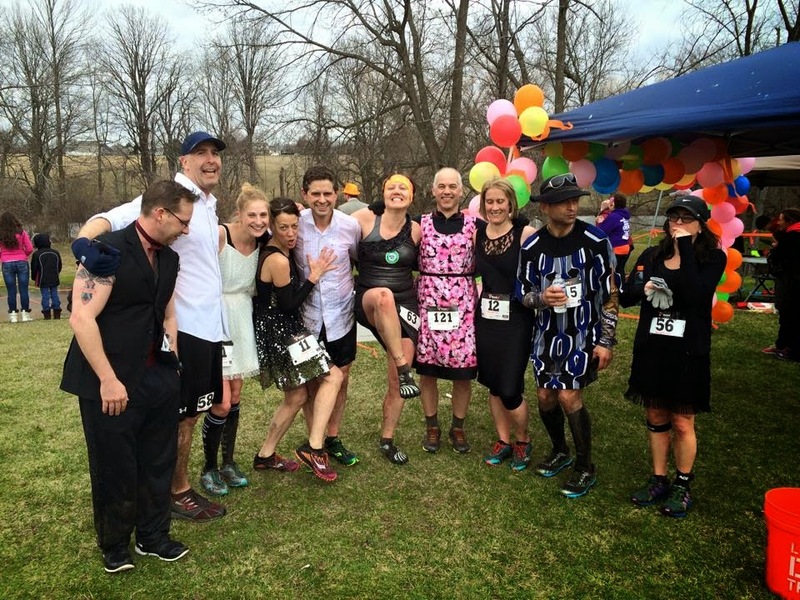 Any occasion to run or to wear a dress is my kind of party. And if I can do both at the same time, so much the better. Plus, today is our one year anniversary! This race last year was the first of Pete and Jen's excellent adventures. We both wore dresses. This year we decided to run together, take it easy and just have fun in the mud. We both wore black and white. 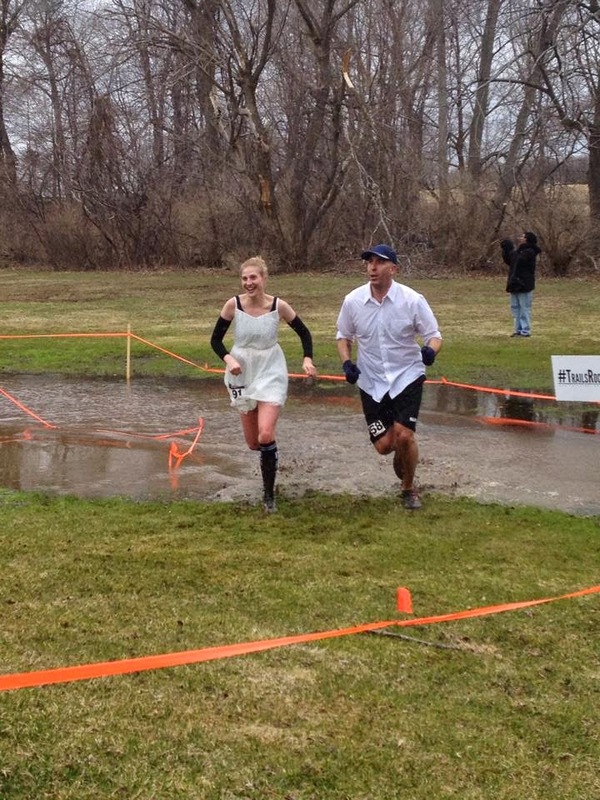 And I wore my Epic socks because any day that involves mud and merriment and men in dresses is one for the epic books. It was a chilly start, overcast, windy and only 43 degrees. But once I started running, it was actually quite perfect. I felt just warm enough and didn't sweat at all. The course wasn't as muddy or wet as last year, but we still got nice and dirty. Thanks to the Eagans and TrailsRoc-stars for another well-run, super fun event. Thanks to Greg for letting me borrow his jacket on the way to the start. Thanks to the photographers, the course sweepers and everyone who turned a cold, cloudy day into a day of silliness and smiles. Infinity of thanks to Pete for a laugh and adventure filled year of awesomeness. I felt great the entire race. 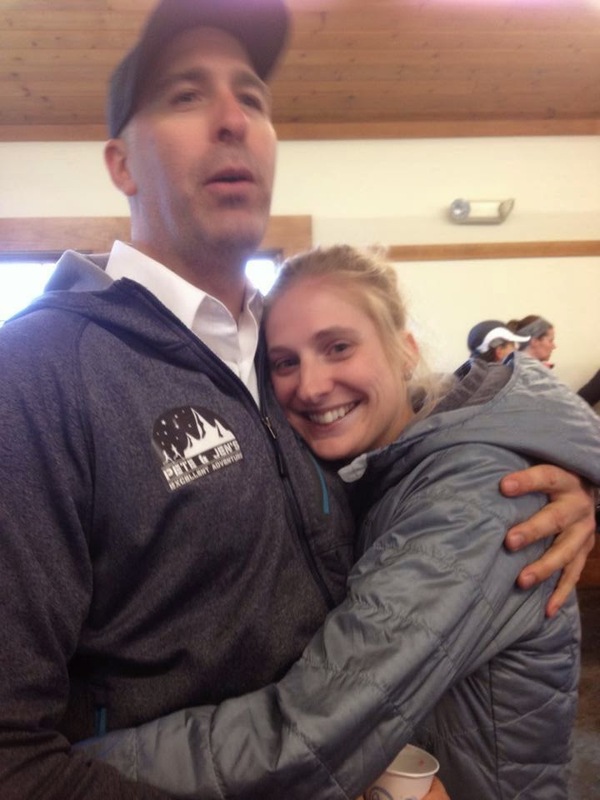 I don't know if I'm getting more confident on the trails or if I was just happy I got to spend 5 miles in the woods with my love and see so many of my favorite faces. At second breakfast, the sun even came out for like 5 minutes. Good things are coming, I can feel it. Sunshiny and warm things. I'm looking forward to a spring and summer filled with friends and fun and running all the trails. Lyric of the moment: "What a beautiful mess! What a beautiful mess I'm in. Spending all my time with you, there's nothing else I'd rather do..."